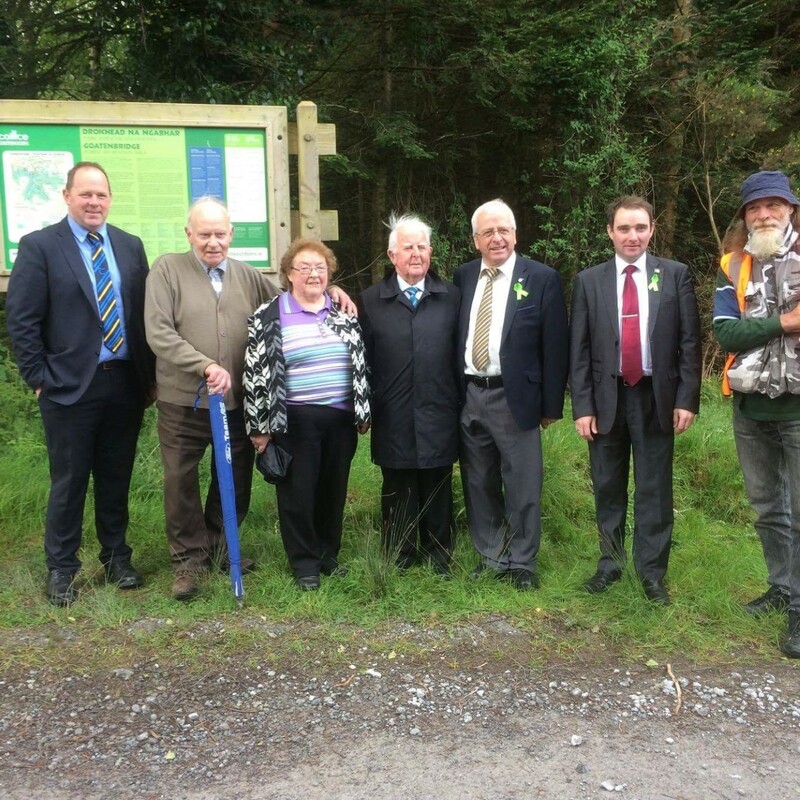 Pictured at the launch of the Knockmealdown Trail in Goatenbridge! Tom Ahearne, Goatenbridge preformed the official ribbon cutting in the presence of the Mayor, Cllr Andy Moloney, Deputy Mattie McGrath and Local Councillor Martin Lonergan along with representatives from Knockmealdown Active. It was held in conjunction with a sponsored walk for South Tipperary Parkinson's Support Group which began in Ballyporeen and culminated in Newcastle where refreshments were provided!